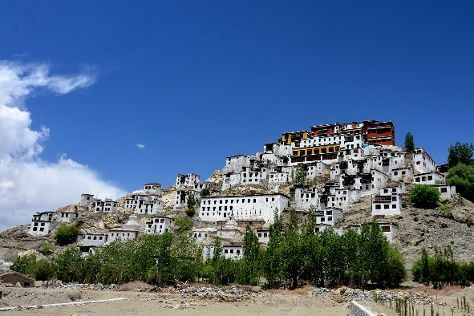 Kick off your visit on the 25th (Sat): admire the landmark architecture of Leh Royal Palace and then contemplate in the serene atmosphere at Thiksey Monastery. On the 26th (Sun), you'll have a packed day of sightseeing: contemplate in the serene atmosphere at Spituk Monastery, then take in the dramatic natural features at Magnetic Hill, then contemplate in the serene atmosphere at Gurdwara Pathar Sahib, and finally see the interesting displays at Hall of Fame. For photos, where to stay, maps, and more tourist information, read our Leh driving holiday planner . Jaipur to Leh is an approximately 5.5-hour flight. You can also do a combination of train and flight; or drive. Finish your sightseeing early on the 27th (Mon) so you can travel to Pahalgam. On the 28th (Tue), appreciate the views at Aru Valley, don't miss a visit to Chandanwari, and then admire the verdant scenery at Betaab Valley. Make your Pahalgam itinerary with Inspirock to find out what to see and where to go. You can do a combination of flight and taxi from Leh to Pahalgam in 2.5 hours. Other options are to do a combination of flight and bus; or drive. In May, daytime highs in Pahalgam are 26°C, while nighttime lows are 18°C. Wrap up your sightseeing on the 28th (Tue) to allow time to drive to Srinagar. Kick off your visit on the 29th (Wed): take in nature's colorful creations at Indira Gandhi Tulip Garden, explore the activities along Dal Lake, and then take in the spiritual surroundings of Hazratbal. Get ready for a full day of sightseeing on the next day: make a trip to Challi Point, make a trip to Shankaracharya Hill, then take in nature's colorful creations at Chashme Shahi Gardens, and finally admire the natural beauty at Nishat Garden. To find photos, maps, and more tourist information, use the Srinagar driving holiday tool . Traveling by car from Pahalgam to Srinagar takes 1.5 hours. Alternatively, you can take a bus. 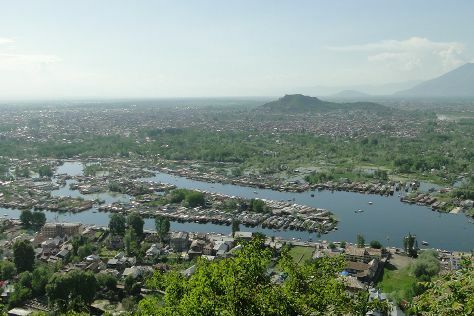 In May in Srinagar, expect temperatures between 26°C during the day and 18°C at night. Finish your sightseeing early on the 30th (Thu) so you can travel back home.